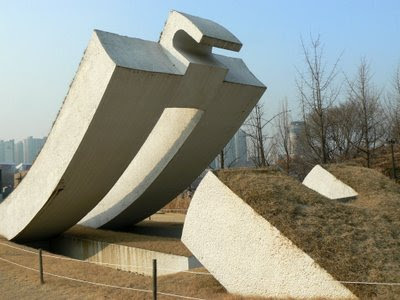 One of many interesting and unusual sculptures in the grounds of Seoul Olympic Park. The design is different. Still a great sculpture.